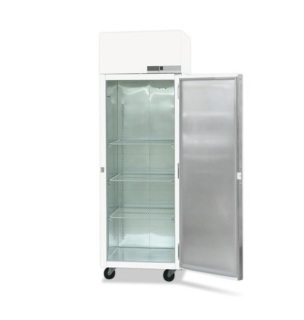 Flammable material refrigerators and freezers are designed to prevent ignition of flammable vapors inside the storage compartment and should be purchased whenever a refrigerator is needed to store flammable liquid. A flammable liquid is defined by the fire code as having a flash point of less than 100 °F (38°C). Some examples of common flammable liquids are listed below. Explosion-proof refrigerators and freezers are designed to prevent ignition of flammable vapors or gases that may be present inside OR outside the unit. Used in locations such as solvent dispensing rooms, where a flammable atmosphere may develop. Explosion-proof models have limited use on campus and require special hazardous-location hard wiring rather than simple cord-and-plug connections. Make sure you understand the difference, it is very important. Consult with your facilities manager before making any purchases. Be sure you are meeting all of your requirements. IDS only provides suggestions as a guide line, it is up to the customer to be aware of their code requirements. The Explosion Proof model is normally used in the work area where the flammable materials will be opened and fumes can build up inside or outside of the unit. However it is also popular for storage to ensure the highest level of prevention available. These Explosion Proof Chest Freezers are for use in Class 1, Division 1, Groups C and D Hazardous locations. All units ship without a plug to meet specifications, the unit must be hard wired on site. For storing materials in approved containers, Class 1, Div. 2 storage of flammable liquids per NFPA Standards, 70, 99, 45, 497A, UL 471. Class I, Div. 1, Groups C&D. Combustible materials may be stored inside cabinet. but the cabinet is not approved for Class I, Division 1 locations. (Please see NFPA, NEC Codes.) If you require explosion proof units, please contact an IDS rep.
Do not store these flammable or any other liquids in domestic refrigerators. Flammable liquid has a flash point <100°F/ 38°C. 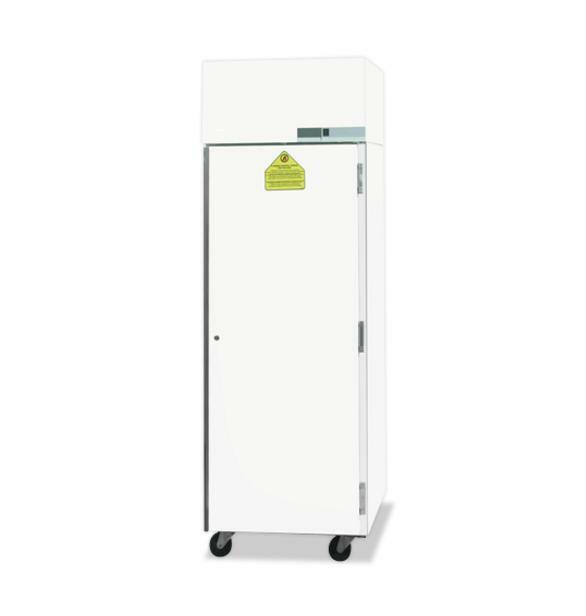 ﻿IDS chest freezers can be built to meet explosion proof standards. Request a quote and work directly with an IDS representative to get your order started today!